Americans love road trips, and we should! With tens of thousands of miles of US highways capable of whisking us between 58 national parks and countless state parks, monuments, and local parks, it makes sense to take in this massive country by car. But traveling by car has its downsides — nobody likes hauling a minibus over the Canadian Rockies in subfreezing temperatures, nor do they enjoy getting cooked alive while driving through East Texas. 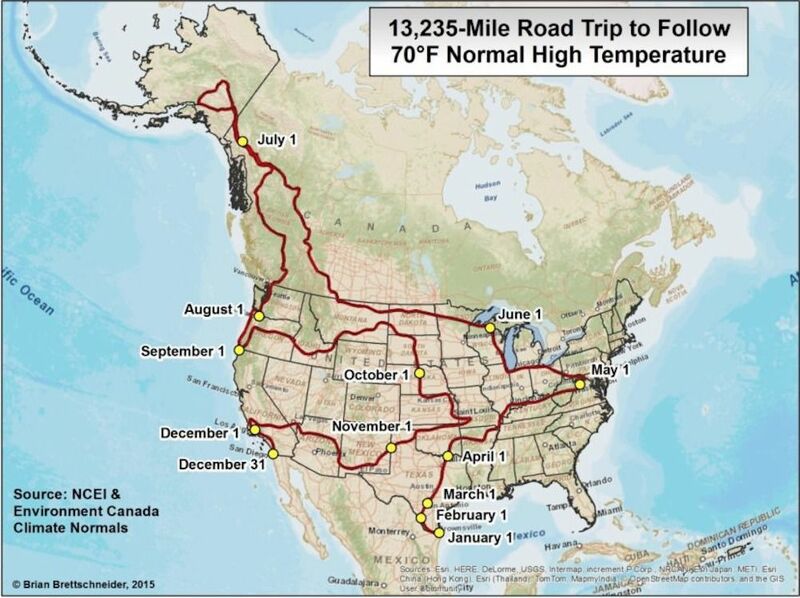 Fortunately, Redditor corn_starch_party shared a map of an epic North American road trip that lasts for a year without spending a single day with normal high temperature below 70(F) degrees.